The other day I happened upon this sight. 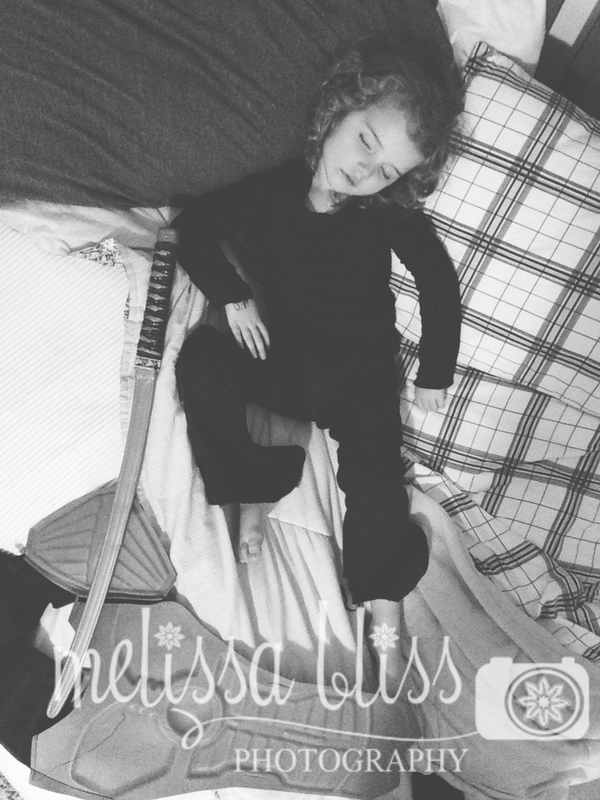 My little ninja had dressed herself up and then passed out on our bed for a nap. I guess preparing for battle does tucker one out. She is adorable. A sleeping little one is a precious sight. This is just too darn cute!!! What an adorable little ninja you have!! !